Today we’re celebrating Dr. Martin Luther King, Jr. in the United States, and, aside from relishing having a day to spend with my family, I also wanted to take a few minutes to reflect and remember why this day is so important. If I had to use just three words to describe Dr. King and his life, the words would be faith, love, and hope. And, of course, all of these were enveloped in his dream. As soon as I read it, I immediately thought back to my family’s vacation to Hawaii in November, and the way I felt when I stood inside the volcano crater and looked up at the tiny staircase that was miles and miles away, at the top of the mountain (see the photo below, and you’ll see the staircase at the upper left-hand corner). 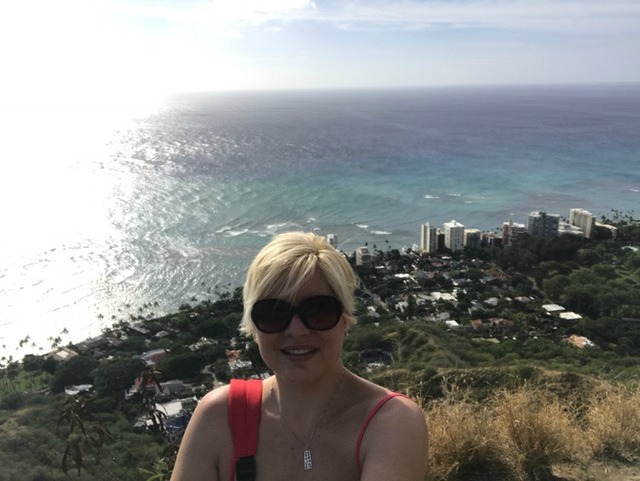 I was NOT going to allow my fear to stop me from getting to the top of that mountain and witnessing the view from up there! And, yes, I was scared. I got dizzy a few times. My feet slipped on the rocks. And the pain in my knee became almost unbearable the higher we climbed. But I had faith that something beautiful, something I’d never seen or experienced before, was waiting for me at the top of that mountain and on the other side of my fear. So I climbed! And, when I got to the top of the mountain, it was so worth it! I’d climbed my first mountain, the view was absolutely breathtaking, and I was experiencing it all with the three guys I love most in this world! Honestly, it was MORE than worth it! I know that love and relationships can be scary. There is so much uncertainty because there aren’t any guarantees. You don’t know if it’s going to work out with the guy you are seeing. You’re afraid of having your heart broken again. It feels safer to stay where you are, even though it’s not where you want to be. However, staying where you are — whether you are single or in a relationship that is stagnant or not working — is the surefire way to NOT get to where you truly desire to be: The place where you feel loved and adored. That amazing place where you know that you know that you are loved! Maybe it’s been a long journey for you. Maybe you feel like the pain is more than you can take. Or maybe you’re just tired of trying. Whatever your “mountain” is, I promise you that if you will have your faith be stronger than your fear, if you are willing to focus on your desire more than your doubt, and if you are courageous enough to take that first step in the direction of your dreams, with the right guidance and support, you WILL get to the place where you are in the relationship your heart desires with the man who is absolutely right for you. If you’re ready to take that first step and you want to know exactly how to do that, then it’s time for you to have a Love Breakthrough! Simply use the link below to schedule time for us to talk and together we will take a look at what your personal love goals are, distinguish what has been stopping you from attracting that loving relationship to you, and what your best first step is for getting the happy, loving relationship your heart desires. CLICK HERE to have your Love Breakthrough! Having the love you want isn’t about learning a bunch of generic tips, tricks or strategies. Your personal love goals are yours to achieve, and knowing the right steps for you to take is critical in order for you to have the love you want! 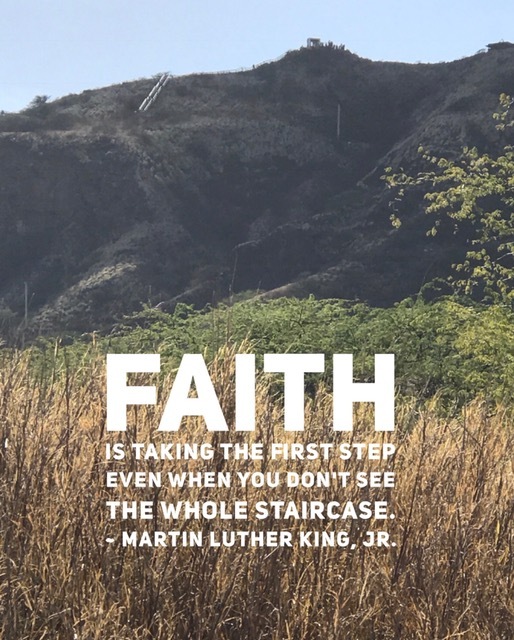 Take that first step of FAITH, and I’ll be waiting to help guide you to the other side! CLICK HERE and take your first step in FAITH!